LBP locksmiths Brighton were called to a property in the Preston Park area of Brighton. The customer reported a fault with their deadlocking nightlatch. Upon arrival it was clear the lock was rather old (circa 20 years) and was beyond repair. 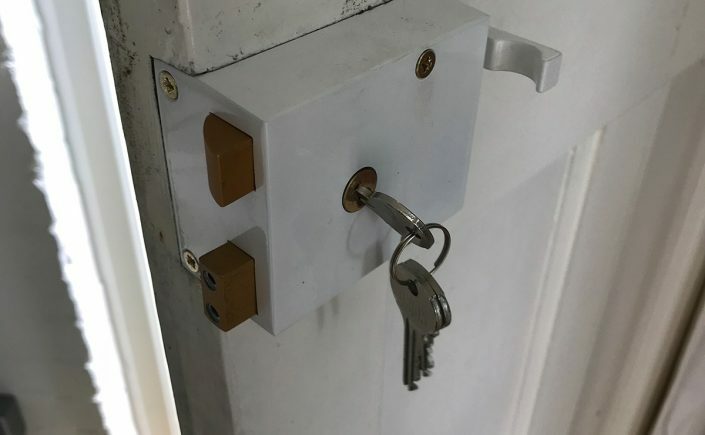 Fortunately the lock is still being manufactured and LBP locksmiths Brighton were able to source a new one and replace it.